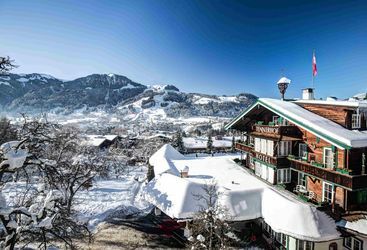 For a stay in the picturesque mountain town of Kitzbuhel, our number one luxury hotel choice is the Tennerhof hotel, a rustic Alpine hotel just a snowball's throw away from the piste. Discover more below. The Tennerhof is a beautiful ski hotel on the sunny side of the valley at the foot of the Kitzbühel Horn Mountain, seconds away from the lifts.